There had always been an understanding by my great aunt Ivy Howard (and her brother, Alfred, my grandad) that their grandmother was a Spanish-looking woman called Caroline Cato She even described her as a white-haired old lady who she used to visit with her mother Rose when she was a child. She told us that she had died around 1925 in the Clapton area. This, of course, led us to believe that Caroline Cato must be the name of Rose’s mother, wife of John Thomas Dellor. Having already established that this grandmother did not come from the Howard side, we then found from Rose Dellor‘s birth certificate, that her mother was Ann Marie Carter, and in fact it was her that had died in 1925 in the Clapton area. Further investigations proved that John Thomas had never remarried and that his own mother was Maria Lingwood (wife of Jonathan Dellor). The existence of the Spanish grandmother remained a mystery for a good few years. Caroline Cato must have existed, but who was she? The clue came by accident, whilst looking at the freeBMD website for possible parents of Ann Marie Carter. We knew from her marriage certificate that her father was William Carter and by looking at any matches for marriages prior to 1844, I up came a match between William Carter and Caroline Cato! Therefore, the mystery lady turned out to be the mother of Ann Marie, and hence, Rose’s grandmother and Ivy’s great grandmother. A few years later when Roger Dellor showed me the photo he had of Ann Marie, it is clear that she does look Spanish and there the confusion was explained. Before long, the family tree of the Carter family from Wheathampstead had been established, [thanks also to Arthur Holdford of Columbus, Ohio USA and his Carter webpage] together with the family of Caroline Cato from Kimpton. [Thanks also Susan Cato I now have further information on the Cato family tree, going back into Ivinghoe in Buckinghamshire]. Their second daughter Ann Marie Carter married John Thomas Dellor, son of Jonathan Dellor and Maria Lingwood on 9th September 1866 at Islington. 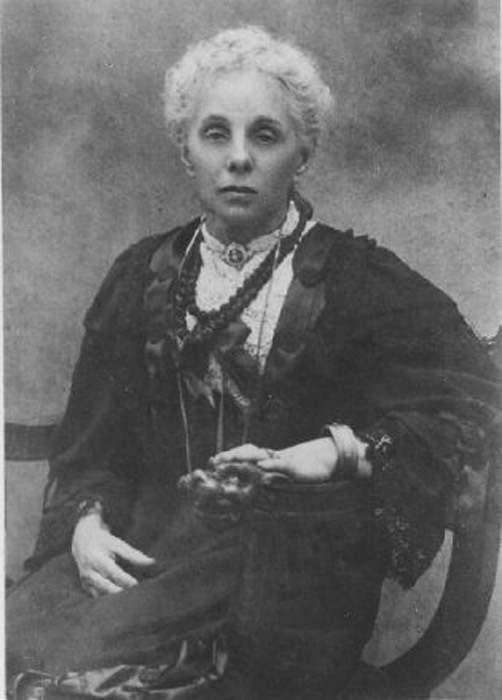 Caroline Carter (nee Cato) and her husband William were living at Wheathampstead in 1871 with their son Moses and granddaughter Ellen Barton. William died at Gustard Wood on 18th February, 1872 and in 1881 Caroline was living at Gustard Wood, Wheathampstead with her four grandchildren; Ellen, Alma, James and Alice Barton, as mentioned above. At the time of the 1891 she was living at the same address on her own. Her eldest three grandchildren are nowhere to be found but Alice was back with her father Michael, and his new wife Hannah and their children. Caroline died on 4th April 1891 at Gustard Wood.